How to query book reviewers and bloggers in three easy steps. Photo courtesy of the author.Joel Friedlander. For indie authors, few free marketing efforts match the power of book reviews and blurbs. But many authors don’t pursue reviews and blurbs, and that’s a shame. Those who try are often disappointed with the results, and inexperience at querying reviewers is usually the cause.To make this process more approachable, I’ve tried to streamline it into three simple steps for indie authors, with an emphasis on crafting an effective query. This is the most important part of the process. You only want to approach reviewers who are at the “top of the mountain” in terms of the influence they have over potential book buyers and readers. That’s why it’s so important to know who potential readers are, and who influences them. And you shouldn’t put limits on yourself. Instead, think of the perfect review or testimonial—the one that could really affect book sales—and what it would look like on the cover of your book or in the first paragraph of a press release. Then, go for it, and make sure to include the influencers identified on the list of reviewers and bloggers to contact. What’s key is to only approach review sources or individuals who have a proven interest in the kinds of books you’re writing. Don’t send a book on flower arranging to a publication for kayakers—it will just waste everyone’s time. A query letter can make or break a review campaign, so it’s important to spend time on it. Here are some tips. Keep it short. People are busy. A four-page letter explaining the book and marketing plan in detail won’t be read by many people. Make it as short as possible to get the job done—no more than one page. Introduce yourself. Include information on who you are and why you’re qualified to write this particular book. But skip the résumé or list of accomplishments. Why is it important? Describe, in a sentence or two, what the book hopes to accomplish and why other people should care. Connect to a common cause. This is crucial. Try to establish a “community of interest” between yourself and the person being queried. If the person’s work is noted in the book, mention that. Be specific about what action should be taken. Include in the query exactly what outcome is desired. For instance, when requesting a testimonial, you might write: “If you enjoy the book, would you give me a quote that I can use in my book promotion?” When requesting a review, point out how the publication’s readers would benefit from reading the review.Set a deadline. For testimonials, you will receive many more responses if you establish a deadline. Say something like: “It would help tremendously to have your response by February 1, but of course I would be grateful for any responses that come in after that if your schedule doesn’t allow you to meet that date.” A deadline isn’t needed for reviewers, who are working to their editorial schedules. Make it easy. Don’t send the book with the query letter, but do offer it in whichever formats are available. If there’s a print or print-on-demand version, offer the printed copy as well as a PDF. If there’s an e-book version, offer that as well. Although PDFs look just like the printed book, they are also the format most prone to piracy, so consider using a service such as BookFunnel or NetGalley to securely distribute books to reviewers. Getting reviews is a numbers game. By approaching enough people who are interested in the subject with a quality book, you will gather reviews or testimonials. But many won’t respond, and that’s just the way it is. Don’t take it personally. You should make sure that all the materials needed to follow up with respondents are on hand. If there are printed books, make sure they are in hand, along with the media kit or other press materials useful to book reviewers. There is no better boost for a book than for it to be recommended by experts in the field and to have positive reviews right where the intended readers will see them. Far more effective than paid ads, reviews can be the lifeblood of an indie author’s marketing campaign. And there’s no reason to stop looking for reviews after a book’s publication date. If you have written a solid, professionally produced book that delivers real value, reviewers will be happy to find out about it. 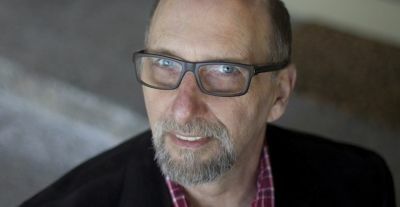 Joel Friedlander is a book designer and author; he blogs about book design, marketing, and the future of the book at the Book Designer. Here’s a great holiday gift idea – get some more recognition and publicity for your books by entering book awards! Book Awards are an efficient, affordable marketing tool that can make a huge impact on your marketing campaign. Each year, medals go to both established mid-sized publishers and first-time self-publishers. We reward those who exhibit the courage, innovation, and creativity to bring about change in the world of publishing. This spirit and expertise comes from publishers of all sizes and budgets, and books are judged with that in mind. Get more attention. Get a shiny sticker for your cover. Get the recognition your book deserves! All six of our contests are now open – something for every kind of book! Happy Holidays to all – here’s to your publishing success in the year ahead! First Call for Entries! The 2019 Moonbeam Children’s Book Awards contest is now open! Just $75 to enter our 13th annual awards program dedicated to childhood literacy and lifelong reading. Writing and publishing books that teach and inspire our children is an extremely important task, and these exist to reward those efforts.The Moonbeam Award ceremony is held in conjunction with the Traverse City Children’s Book Festival. Click here to visit the website. The final entry deadline for the 6th annual Illumination Awards contest is this Saturday, December, 15th. Just 5 days left to enter the the Illumination Book Awards, honoring the year’s best new titles written and published with a Christian worldview. With the motto, “Shining a Light on Exemplary Christian Books,” there are 19 categories for new titles and 5 Enduring Light categories for books published since 2000. Click here to visit the Illumination Awards website. Calling all independent authors and publishers! This contest is for you! The 23rd annual Independent Publisher Book Awards, conducted to honor the year’s best independently published titles, is now accepting entries for books released since January 2017. Entry fee is $95 to enter a General category and $55 “add-on” a Regional or E-Book category. All entrants are considered for the Outstanding Book of the Year Awards at no extra charge. The entry deadline for the 2019 IPPY Awards is February 23, 2019 – just 75 days left to enter! Launched in 1996, the Independent Publisher Book Awards are designed to bring increased recognition to the deserving but often unsung titles published by independent authors and publishers. Established as the first unaffiliated awards program (no membership fee required) open exclusively to independents, the “IPPYs” recognize hundreds of the year’s best books, bringing them to the attention of booksellers, buyers, librarians, and book lovers. The IPPY Awards contest is among the largest and most recognized book awards events in the world, and all independent, university, small press, and self-publishers who produce books intended for the North American market are eligible to enter. Click here to view the entry guidelines PDF. The 2019 Living Now Awards are now open. Just $75 per category entry until the early-bird deadline of Jan. 26th. The Living Now Book Awards recognize books that help readers help themselves, to learn about enriching their lives in wholesome, Earth-friendly ways. Books are an important tool for gaining knowledge about life-improvement goals, and the Living Now Book Award medalists are a must-read list for helping us achieve those goals. Click here to view the guidelines and entry form. The 2019 Moonbeam Awards are now open! Just $75 per entry until the early-bird entry of March 23, 2019. The Moonbeam Children’s Book Awards honor the year’s best children’s books, and are open to authors, illustrators, and publishers of children’s books written in English or Spanish, appropriate for the North American market. These awards bring an opportunity for recognition to deserving authors and publishers who have a hard time breaking through to win library association awards like the Newbery and Caldecott. Click here to view the guidelines for the 13th annual contest. The Axiom Awards are open until the final entry deadline of January 12, 2019. Just 32 days left to enter! The Axiom Business Book Awards are intended to bring increased recognition to exemplary business books and their creators, with the understanding that business people are a very well-read and informed segment of the population, eager to improve their careers and businesses. Newly published business books contain the newest, most innovative, and creative ideas that can make us think and act differently every day. The 2019 awards are open until December 15th. Just 5 days left to enter! The Illumination Book Awards are designed to honor the year’s best new titles written and published with a Christian worldview. Award categories range from Bible Study and Devotional to family-oriented subjects like Education and Children’s Picture Book. The purpose of the Illumination Book Awards is to bring award recipients the credibility and publicity they need to further their book marketing and sales success. Entry is open through January 31, 2019. The eLit Awards are an industry-wide, unaffiliated awards program open to all members of the electronic publishing industry, and are committed to illuminating and honoring the very best of English language digital publishing entertainment. The eLit Awards celebrate the ever growing market of electronic publishing in the wide variety of reader formats. Hail the revolutionary world of e-books and join the awards program that’s highlighting the best in electronic reading entertainment! To remove your email from our mailing list, please click the link below. Copyright © 2018 Jenkins Group, Inc.